We’ve written about Blippar a few times throughout 2011, first covering the augmented reality (AR) app in June, prior to its official launch. Blippar is an AR app aimed at brands, and it has been making some pretty big inroads in the UK with a number of partnerships with companies such as Cadbury and Marmite. It’s even gaining traction outside the UK, helping to launch what it called ‘the first AR newspaper’ in Ireland. What better way to end what’s been a pretty eventual year for Blippar than with a festive link-up with one of the world’s most recognizable beverage brands – Guinness. Guinness is taking its first tentative steps into the world of augmented reality with the launch of a “Decorate Your Pint” game as part of its Christmas marketing campaign. From tomorrow, drinkers around the world will be able to use the Blippar app, available on iOS and Android, from their mobile devices to recognize their pint of Guinness and then emblazon it with Christmas decorations including baubles, gifts, Santa hats, bows and snowflakes. All the images can be resized, rotated and moved around by the user. 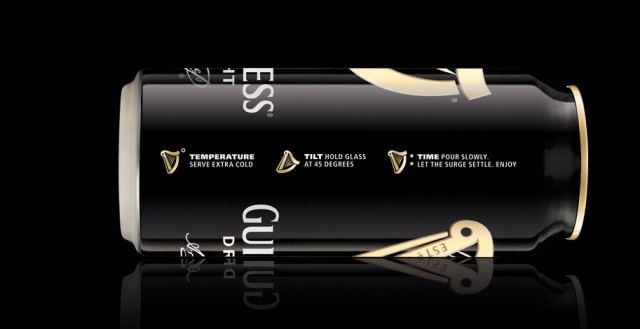 A snapshot of the decorated pint can then be shared with friends via email, Facebook or Twitter, with the message “What I really want for Christmas…”, which ties in with the Guinness strapline from its broader advertising campaigns. The app will be compatible with Guinness bottles, cans and most other Guinness-branded objects, but Blippar expects that most users will play the “Decorate Your Pint” game with friends in the pub.